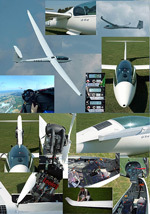 McLean Aviation have been the sole UK and Eire agents for DG Sailplanes since 1984. Please contact us for a price list. Cobra trailers are also available from McLean Aviation. Click here for more information on Cobra trailers.